Washington — The Trump administration is resuming its controversial "Remain in Mexico" policy requiring certain non-Mexican migrants who claim asylum at ports of entry along the southern border to wait in Mexico while their cases are processed in the U.S., a Department of Homeland Security (DHS) spokesperson told CBS News Tuesday. The administration had halted the policy, officially known as the "Migrant Protection Protocols," for a few days after a federal judge blocked the government from implementing it. On Friday, however, the 9th Circuit Court of Appeals granted the government's emergency motion to stay the lower court's ruling, allowing the administration to resume the practice. The DHS spokesperson said the agency would resume the practice in ports of entry in California and Texas, including those in Calexico, San Diego and El Paso. The U.S. government will inform the Mexican government of the policy's expansion to other locations, the spokesperson added. "As DHS continues to implement MPP across the southern border, we will continue to advise our partners in Mexico so each new location becomes operational in a way that ensures a safe and orderly flow," the spokesperson said. The practice of returning certain asylum seekers to Mexico while their requests are processed in American courts was one of former DHS Secretary Kirstjen Nielsen's signature policies to confront the unprecedented flow of migrant families from Central America heading towards the U.S.-Mexico border. 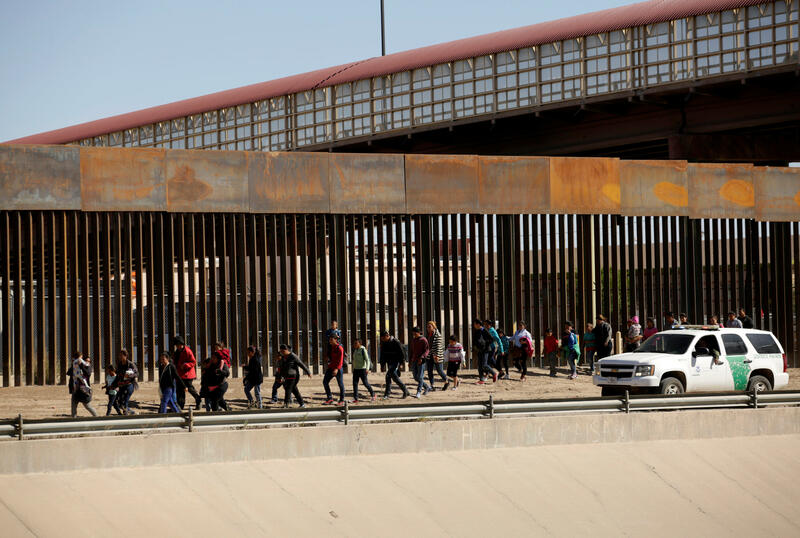 Last month, U.S. immigration authorities said they reached a "breaking point" after apprehending or turning back more than 103,000 migrants — including approximately 53,000 families and nearly 9,000 unaccompanied children — along the U.S.-Mexico border.